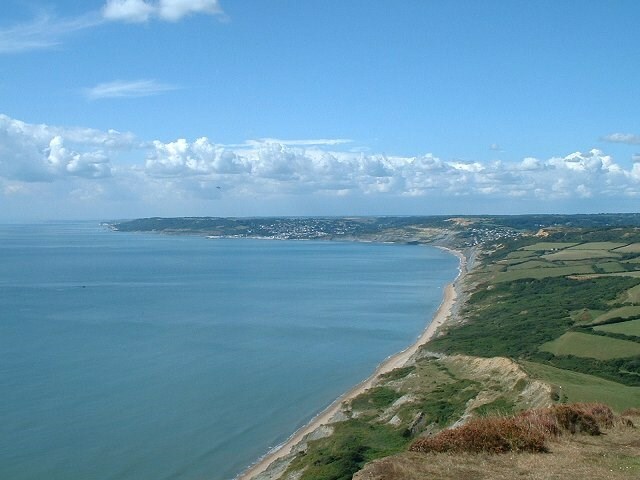 At 191m above sea-level, Golden Cap is the highest point on the south coast of England. Its name comes from the golden yellow Greensand covering the summit. There are glorious views from the top along the Jurassic Coast and inland but keep well clear of the cliff edge. To the west you can see Charmouth, Lyme Regis and the southward sweep of the Devon coast; to the east are Seatown, West Bay and the Chesil Beach curving around to Portland. In summer, the ground is carpeted with thrift, sea campion, tormentil and heather - you may even catch the sound of gorse popping! 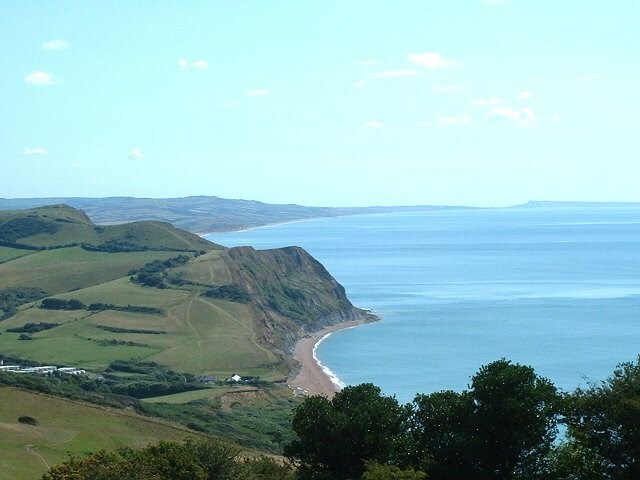 You can reach Golden Cap by climbing the coast path from Seatown, 1.5km E, or from Stonebarrow Hill, 2.5km W. Alternatively, we recommend a very pleasant walk along the edge of the wood from the National Trust car park (40p for an hour) at Langdon Hill: N50 44.015, W002 50.050. The track is bordered by a lovely mix of larch, pine & beech trees, and the woods are covered with bluebells in late spring. The cache is located on the south side of an earthwall hedge. The container is a plastic box. You must approach it from the Golden Cap (south) side of the gate, NOT the field to the north. Go through the gate and start up the steps. Near the 6th step take the indistinct path on your left. YOU DO NOT NEED TO CROSS ANY HEDGEROWS OR FENCES! It's less than 400m from the 'Golden Cap' cache placed by the National Trust. If you're walking from Langdon Hill it can be combined nicely with the 'Pseudo Coo Cache' (Weary Banker & Bookworm) and 'Mike's 60th' & 'The Way Through The Woods' (others of ours). It's also by the route of the Golden Cap Estate series placed by NT West Dorset. No lack of interesting caches in this lovely area! Sebz gur 6gu fgrc, gur pnpur vf 25z njnl haqre n pbccvprq gerr va gur rneguonax.